1: 196 color options ; 2: Huge stock for each size; and very short and stable lead time! 3: We focus on the top quality level market. Our client is all over the world 4:Our company build in year 2007, we have more than 10 years&rsquo; experience to make the garment accessories,we have the technician team who can design the sample than you asked. GL Packing bags plastic bag inside,PP bag outside Delivery time 15 days after receiving the deposit Color any color if you want. QC Workers are running on three shifts Other information Our company also can produce many kinds of fabric according to every customer's requirement . so you can provide us specification , width , weight , finished processing , thickness ,color, package . fantastic using as gifts, the rose will never fade away whenever the time change .we can produce customized design accurately as well.we will be your beautiful accessories creator! Dear Buyers, We are professional in all variety of ropes,cords,laces,ribbons,webbings,ect. Company Production YODO textile are specialized in the field of webbing/cords/laces research and development,sales and service. All buyers are warm welcome to contact us any time,we are happy to supply our best products and service,and have long-term win-win cooperation. :SLA-662 2.Colors:All the colors are available 3.Size:As sample or customized size are acceptable 4.Materials and design:Nylon+spandex 5.MOQ:300yds 6.Place of Origin:Made in China We make various garment accessories:Button,Brooch, Buckle,Collar, Lace, Lace trimming, small trims, neck piece,motif,hot-fix ,belt,mainly for hand-made accessories for garment decoration. 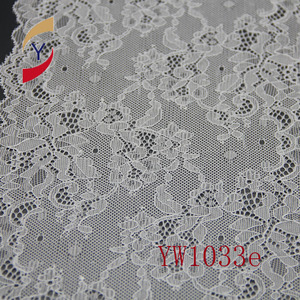 Specifications 1,Special manufacturer for Lace Trim 2,Strong friction,color fastness 3,High quality,competitive price Delivery time: Within 10-20days after sample & order approval Packing: Inner packing:Polybag, Outer Packing:Stander export carton, can be changed as the clients' request If you can not find the sample you like in our listed poducts,it doesn't mean we do not produce it,you can send your design to us,we can make it as per your requirment. If you are interested in any of our products,please do not hesitate to contact us for more detailed information. white, red, ivory, skin, black color are our regular colors. they can be dyed in any colors according to standard pantone color number, and they are also available in color samples sent by our clients. 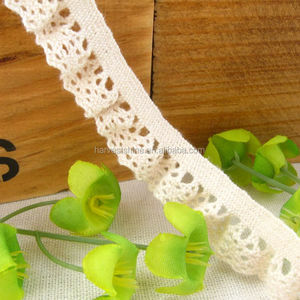 our products including cotton lace/crochet lace/water soluble etc. 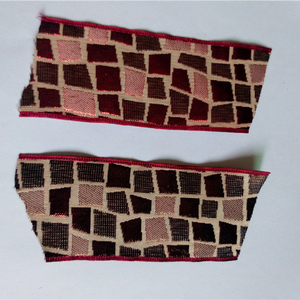 weaving according to customers requiments usage widely use for garment, hair rnament,fashion skirt ,coat, blouse,etc. 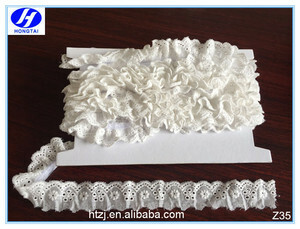 Alibaba.com offers 584 decorative ruffles lace products. About 25% of these are lace, 1% are women's shapers, and 1% are shoelaces. 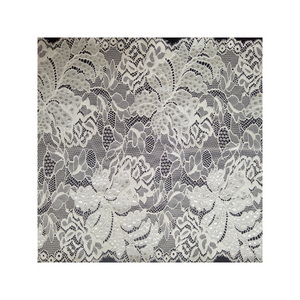 A wide variety of decorative ruffles lace options are available to you, such as eco-friendly, elastic, and water soluble. You can also choose from 100% cotton, spandex / polyester, and polyester / cotton. As well as from embroidered, crocheted, and knitted. 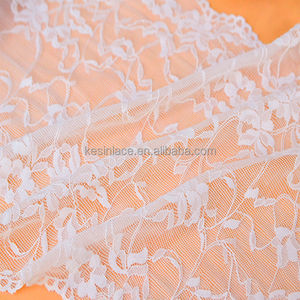 And whether decorative ruffles lace is organza, mesh, or voile. 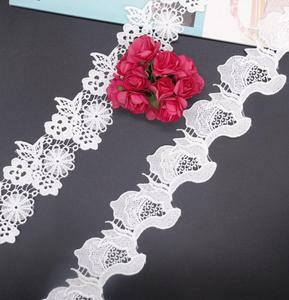 There are 584 decorative ruffles lace suppliers, mainly located in Asia. 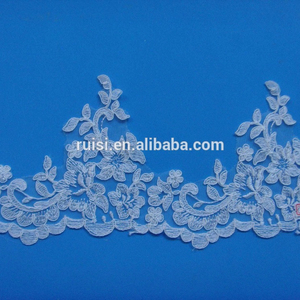 The top supplying country is China (Mainland), which supply 100% of decorative ruffles lace respectively. 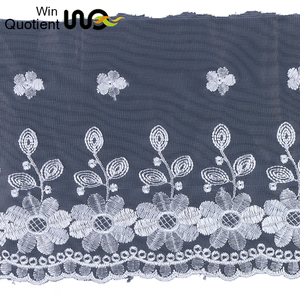 Decorative ruffles lace products are most popular in North America, Western Europe, and Eastern Europe. You can ensure product safety by selecting from certified suppliers, including 62 with Other, 27 with ISO9001, and 7 with GSV certification.